In May of 2012 one of our writers Megan, visited with a guy named Justin Paul Russell who had come to the Willamette Valley from the Alabama. 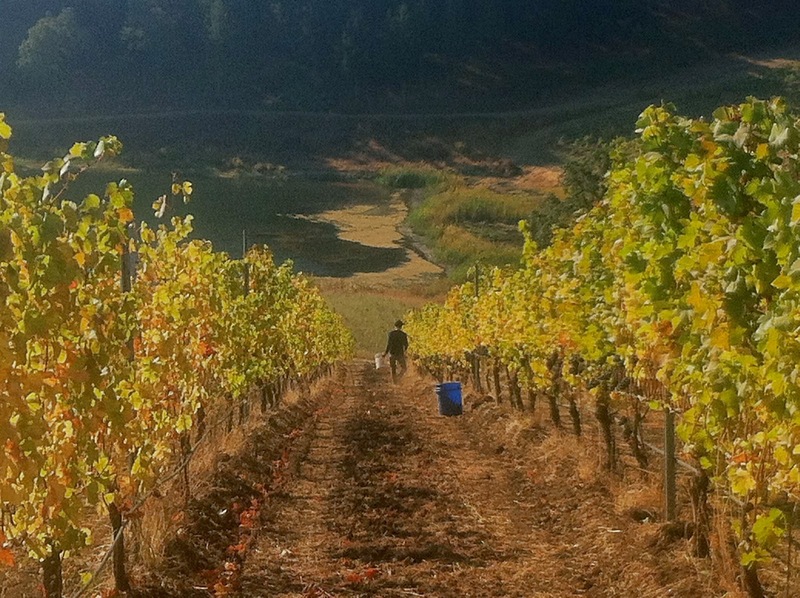 He brought with him a dream of making Oregon Pinot Noir. Two years have past and Justin has successfully launched Jasper Sisco with his first wines, including a 2012 Pinot Noir and a 2013 Riesling. Jasper's story, sorry, Justin's story is illustrative of the kind of community that the Willamette Valley has always been and frankly remains, in spite of it's growing stature in the wine world. The California wine giants' land grab hasn't done any damage the family fabric of Oregon's Pinot Paradise. Quite the contrary; what Justin has found is an extended family in his home away from home. Justin has landed at Portland's SE Wine Collective, a sort of "maker space" of the city's young wine talents. The Collective allows those interested in making wines, who also aren't land barons, to take a stab at making Pinot in Portland's city limits. In my opinion some of the wineries working out of there, are making some of the most imaginative wines in the Northwest right now. The collective gives them a sense of community, a little help with labor and equipment borrowing and a library of shared experiences to draw from to tackle any challenges they might see in wine production. Justin has also benefited from a fantastic extended family relationship with the Momtazis of the Willamette's Maysara winery. It's there that he really got his foot in the door, working harvest and crush for two years as well as developing relationships with the broader Willamette wine community. Now that his vision for Jasper Sisco has become a reality, that family feel remains important. Whether that's choosing his fruit sources or where he makes his wine. "Biodynamics are important to me, but at the core sustainable farming and the growers are what drive the vineyard choices. I want to be able to connect with the people I purchase fruit from, I want them to be people I'd have dinner with or better yet a beer... Momtazi is a site that I feel connected to in a lot of ways, I love the entire family and owe a deep amount of gratitude to them for all the help along the way." 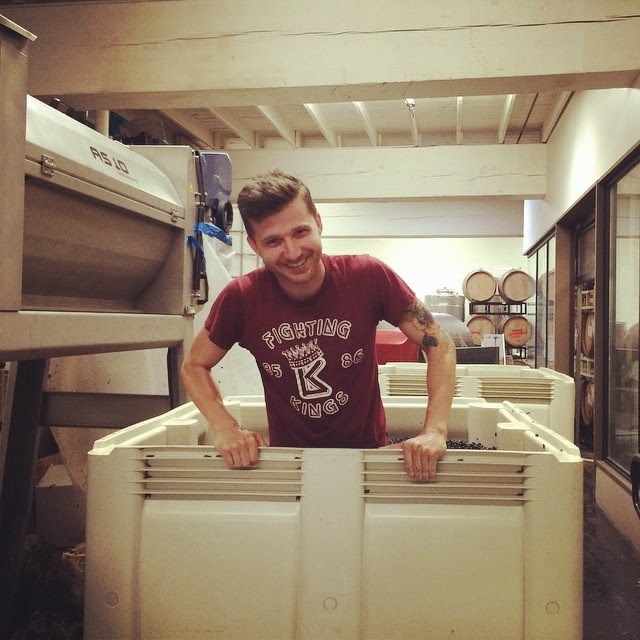 "Cherry Grove was about being in the right place at the right time, in 2013 Tom of Division Wines and of SE wine Collective was sourcing Pinot Noir from there and he knew I was on the hunt for Riesling. He knew that Bob had just opened up a parcel that used to be contracted by Matt of Love and Squalor." The label is an interesting story that ties back to that family theme. "That's Jasper in the middle of the photo. The photo was taken in West Virginia when he worked in a coal mine. The two people with him are relatives but nailing down who they are with the family I have left that knew Jasper has been dicey. The consensus is that they were cousins. The use of his name as the parent label is a tie not only to family, but work ethic, wit, and a persnickety nature that were central to his personality." The woman on the label? 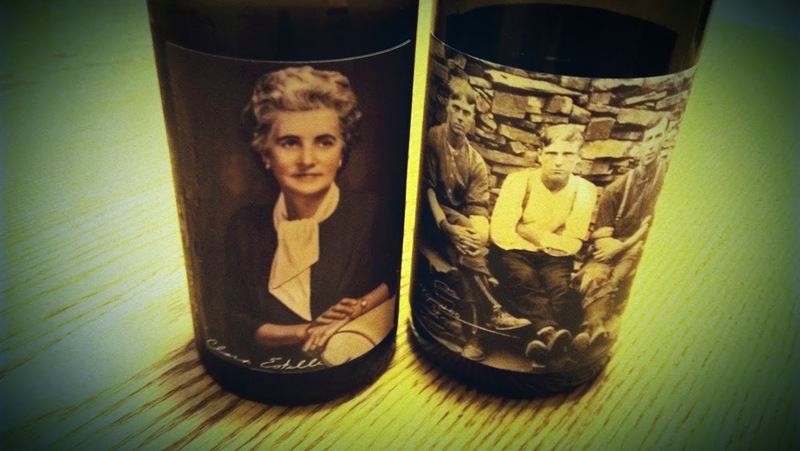 "Clara Estelle is the great grandmother of my dear friend Wesley Sloman who helped with harvest in 2012 and has remained closely connected with the vintages since then. Clara was the first lady of Tarrant, Alabama in the sixties. She was the lady you went to if you needed to get something done, or needed to know something about someone in Tarrant. I've spent time connecting with Wesley's mother for stories." In his first go-round Justin has produced a pair of impressive wines. He thinks though the best is yet to come. "The largest feedback loop I find myself in is the one at the Collective. We share info on production and the business aspect of things almost daily. As far as the wines go, I think my stylistic choices in the cellar draw the most feedback, People tend to think my style is risky. But as I was once told that what you risk reveals what you value."